Perhaps this could be a motto of all ministers. However, it is certainly good advice for people whose ministry is within the mentally challenged. In fact, I’m not sure that I can better expand of her advice. When my children were small, they would want to “help.” In our galley kitchen, one cabinet top is about three feet wide. I would put them on top of that counter while I mixed and stirred. I would tell them, confidently, “Watching is helping.” That is a great philosophy when you want to teach a child to cook but you don’t want them to get in your way. 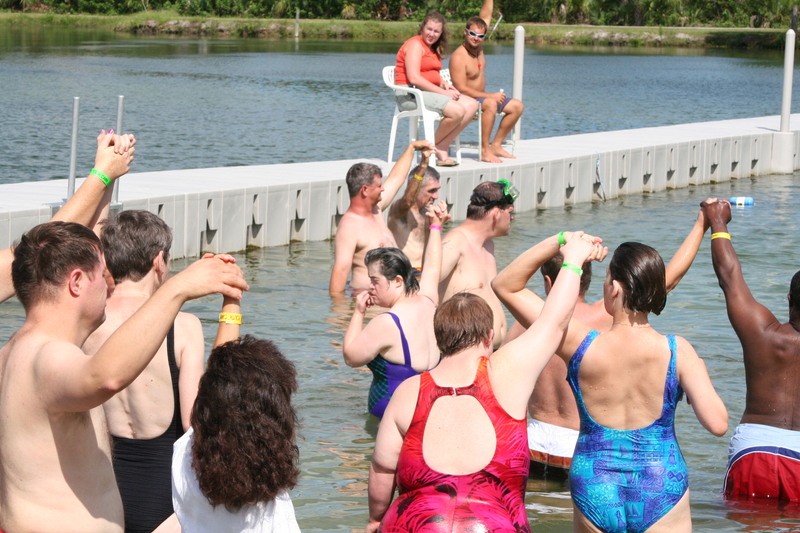 The Special Gathering is a ministry within the mentally challenged community. Our members are all developmentally delayed. Our mission is to do classic ministry rather than social ministries. We disciple and evangelize. Many of our members do have secondary disabilities or physical limitation. However, I’ve found that almost all of them are more than willing to pick up a chair or help move a table. Most of them are not lazy. In addition, I work with an amazing group of volunteers who take great joy and pride in working until they drop. Nothing pleases them more than to leave a worksite, hot, sweaty and exhausted after a couple of hours of labor. In fact, their greatest complaint to me is “I need something else to do.” This is a very good thing since we must borrow from almost everyone in the county. When a ministry is so dependent on others, it’s important to understand that you must leave the facility or van or equipment you want to borrow in better shape than when you borrowed it. If it breaks, we fix it. If it gets dirty, we clean it. If we move it, we put it back. On Sunday, we had an indoor picnic. I’ve developed a good relationship with the Sunday maintanance crew because I seldom ask for their help. Several of our members and I come early to set out the chairs and table and move our equipment. The agreement with the church is that they don’t want us to put up the chairs and tables at the end of our session. However, his Sunday, I learned that the maintenance man would have to stack the chairs himself. There were four women volunteers left in the church, cleaning and staightening. “I’m going to do this for the maintenance man. He wants to leave by 2pm,” one volunteer informed us. That was all it took. Everyone went to work. Within minutes the chairs were stacked and positioned against the wall the way they needed to be. Even though, the chairs did look as though they had been stacked by a group of women, the church staff was grateful for our help. There are two principles that The Special Gathering lives by. First, we always leave things better than when we used them. The second is we make friends in low places. We understand it is the secretaries and maintenance people who really run the churches. Make them your friends and you can have almost anything you want. At staff meetings, when the maintenance crew says, “Special Gathering is the cleanest group we have in the church.” Believe me, it carries more weight with the senior staff than all the smoosing you can do with the any of the pastors. Having worked in almost every position in the church from secretary to area director, I’ve learned that these two principles work to benefit any ministry. What are some of the things you do to insure that your support staff know that you appreciate their efforts? How do you involve your members in order to let them know that they are helping, not watching? Okay I’m like the rest of the Techno and wannabe-Techno world, I have a toy brain. It all began years ago, when we realized that a cell phone bill was a lot cheaper than a secretary. All my phone numbers are nowforwarded to my cell phone. 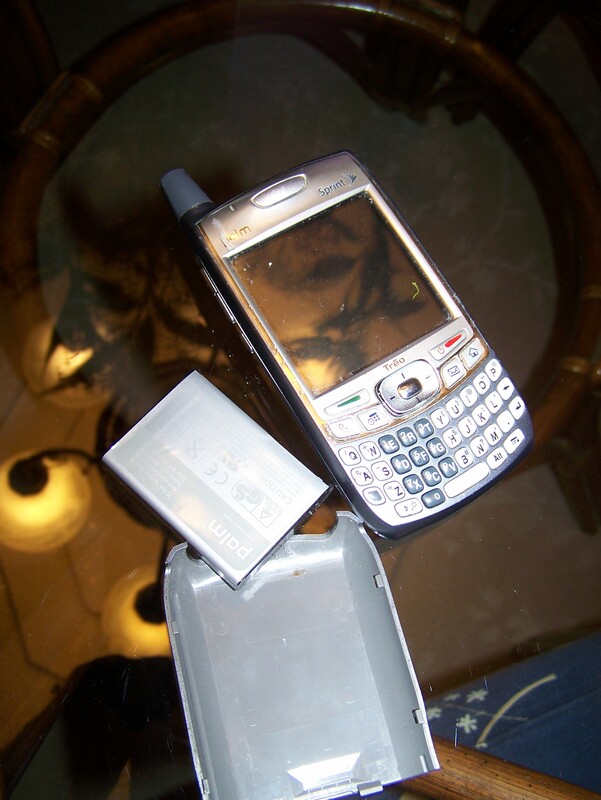 We bought the expensive Treo, about a year before the Blackberry came out, because we could carry our data bases and our calendar with us wherever we went. As the Area Director of Special Gathering of Indian River, it is important to have access to the records of our members during program hours. We are a ministry within the mentally challenged community. 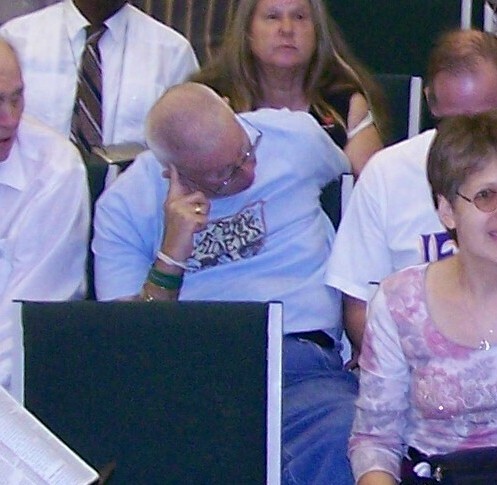 As a ministry dedicated to the evangelization and discipleship of mentally challenged people, our programs are designed specifically to do classic ministry. 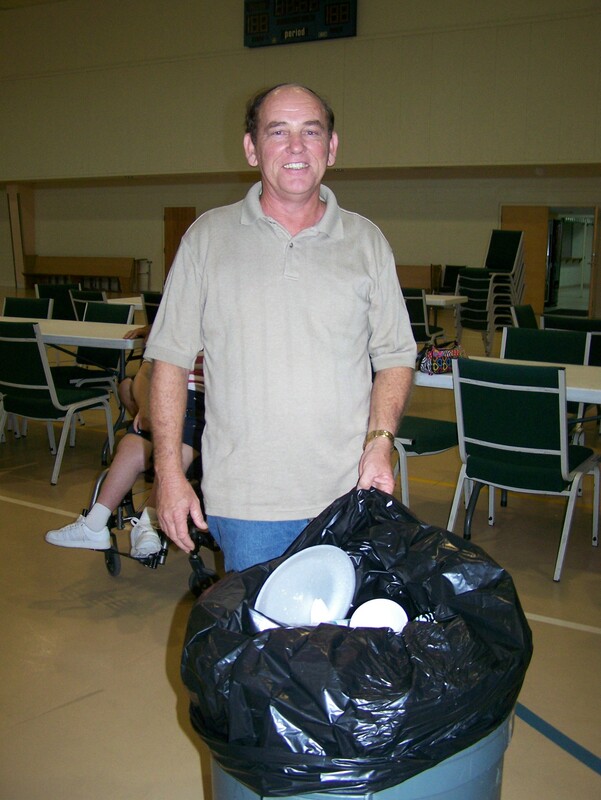 In short, we do church that is geared for people who are developmentally disabled. For years, we carried large looseleaf notebooks with pages of information containing our members’ health and emergency information. Health and safety is a paramount goal for us. Carrying a tiny Treo phone that embodies the data that once was carried in our brains seemed so much easier. And, of course, it is…until your phone is dead. Last night when I realized my phone’s battery was going away, I connected the Treo to the charger to wait about 20 minutes for it to become fully charged. Problems evolved when the phone didn’t charge but began blinking and trying to restart. It’s been restarting all night. It’s physically painful to see my toy brain trying to reboot. This morning I’ll go to the phone store and they will do wonderful things and I’ll have my brains back. Praise God for technicians. Are you pro-active in regard to the health and safety of your members? If not, why not? At times parents will call. Their voices are strained. They admit to being frazzled and frayed. One mother confessed as we stood in the church the first Sunday her son came to Special Gathering, “I really must have a break.” Bradley, her hyperactive son was experimenting with the elevator buttons, while her husband was smiling and egging him onward. “He is so curious and active. I don’t have a minute of peace,” Bradley’s mother continued. Her voice was laced with exhaustion and disappointment in her inability to cope. The mother’s eyes were now glued to the floor. “I know. But I must have a break,” she repeated for the seventh time. “I must have a break,” she said staring at me in an apologetic gesture of her hands. It is extremely painful for a parent when the reality of a sometime-impossible job meets the end of your endurance. This deadend street appears to have not turn-around alcove and no way to escape. It is usually the mother who reaches this impasse first. The shame of coming to this place in the life of your child with a disability is so vibrantly alive you can almost taste it in the air. I am always thankful when a parent with such a desperate need discovers Special Gathering. Yes, we are only a once a week program but that is more than they thought the Church would ever be able to give to them. And they are amazingly grateful. The Special Gathering of Indian River is a ministry that is sponsored by more than 40 churches. We function in South Brevard and Indian River County in Florida. Our only purpose is to evangelize and disciple people who are mentally challenged. However, a great bi-product of this important arm of the Church is that we are able to provide a respite time for Bradley’s parents. As the parents of our newest member walked out the church door, the dad put his arm around his wife. “He’s going to be okay,” Bradley’s mom said. Her husband nodded in agreement and gave her a squeeze. “You sure can,” I said. He’ll be picked up at 8:30am and he’ll get home at 1:15pm. That’s enough time for his mom to get a shower, get dressed, go to church, come home and fix lunch or read the paper. Have you found some ways to make a new member feel welcomed? What about the person who has anxiety because of his/her separation from parents? What are some techniques you’ve found that work to eliminate their concern? I was born into a family of risk takers. My father started (and closed) a variety of businesses in his lifetime. Many of my uncles and aunts were entrepreneurs. My brother became a champion athlete because of his ability to take risks. He also left a secure engineering position with South Carolina Electric and Gas to form his own electrical contracting/construction business when his family was young. He was willing to take the risk of failure in order to succeed. I am the area director of The Special Gathering of Indian River. 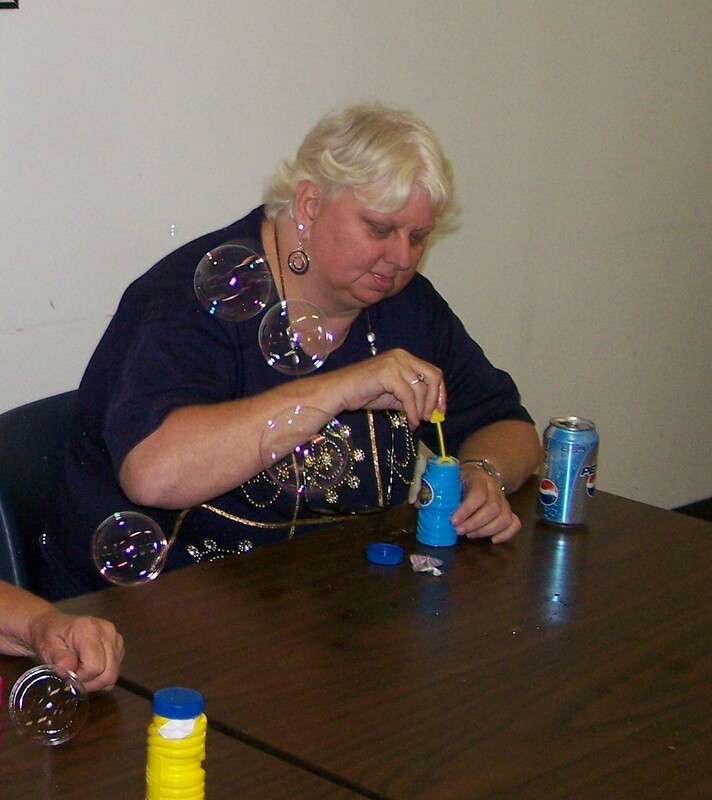 We are a ministry within the developmentally disabled sub-culture, doing classic ministry–evangelism and discipleship. In the 19 years that I’ve been part of this community, I have observed a population of risk takers. But in ministering and befriending the members of The Special Gathering, I’ve been impressed the variety and constant display of risk-taking in which our members engage. Even though Larry is mentally challenged he enjoys making new friends. I don’t want to risk rejection, so I tend to shy away from people who seem to divert eye contact and not smile when our eyes do accidently meet. Oh, but Larry has made some wonderful friends by his ability to overlook the curious, blank stares and smile broadly forcing eye to eye confrontation. Tom has a disconcerting way of taking the risk of standing too close–invading your personal space–in order to engage in conversation. While I always back off, Tom is bold enough to continue to pursue the person with whom he desires to converse. It is interesting that this boldness has created a bond of understanding between us that I find curious. Of course, she and I are casually walking to the elevator during the entire conversation. By the end of her fourth “but I want to go there” the elevator door has closed and she is safely heading for the second floor. By the end of the exceptionally slow elevator ride, one of her friends has engaged her in a conversation and she’s eager to join her companion in their Bible study class. The same is true in spiritual areas. Jack was born a constant risk taker. When he truly discovered that Jesus loved him, that risk-taking tenacity easily transferred to his relationship with the Lord. His prayers are bold. He memorizes the scriptures that he reads. He freely tells people about the wonderful things God has done in his life. Accessing the level of risk-taking your individuals members are willing to take is an important step in understanding the values and personality of each member. It may also be a key to locking a more vital relationship for them with the Lord. Who are some high risk-takers in your program or Bible study class? Who are the people who don’t like taking risks? How does this effect their relationship with the Lord?